New York would obviously love to keep Stepan, but cap troubles could force them to do something drastic. It's doubtful he's a trade candidate, but it's something that every team struggling to sign an RFA has to contemplate. Any player who elects for salary arbitration cannot be traded until after the hearing, so a trade wouldn't happen soon anyways. Canucks GM Jim Benning was noncommittal when asked about re-signing pending UFAs Radim Vrbata and Dan Hamhuis. There's a decent chance both could be in different uniforms by the end of this season. The Dan Hamhuis rumours have been out there for a while, but I have even heard a few Vrbata rumours. I do believe there are some in the organization who are not enamoured by the play of Vrbata, which might surprise some given how well he produced in his first season as a Canuck. The St. Louis Blues had contemplated trading captain David Backes at some point this offseason but ended up trading TJ Oshie instead. The Blues continue to look for a taker for center Patrik Berglund. The Leafs and Blues discussed a trade around Berglund that would involve salary retention and draft picks, but it didn't go anywhere. We'll see if those talks pick back up again some time this summer. Especially if the Leafs trade Tyler Bozak, they'd need to fill a spot down the middle. The Patrick Sharp derby ended last night with the Blackhawks trading Sharp and defenseman Stephen Johns to the to the Dallas Stars for defenseman Trevor Daley and forward Ryan Garbutt. We'd heard the Stars as interested several weeks ago, but had been led to believe the Flyers were the current frontrunners. Obviously the Stars made a late push. That's a team that wants to win now. Keep an eye on the Sabres and Blue Jackets as they continue to look for upgrades on the blueline through both trades and free agency. 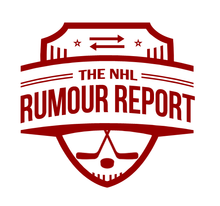 If you enjoyed this post, follow @NHLRumourReport on Twitter and like us on Facebook for more updates!